To own a Kuni design is to own a work of art. Each piece is uniquely created, lovingly crafted and distinctive. 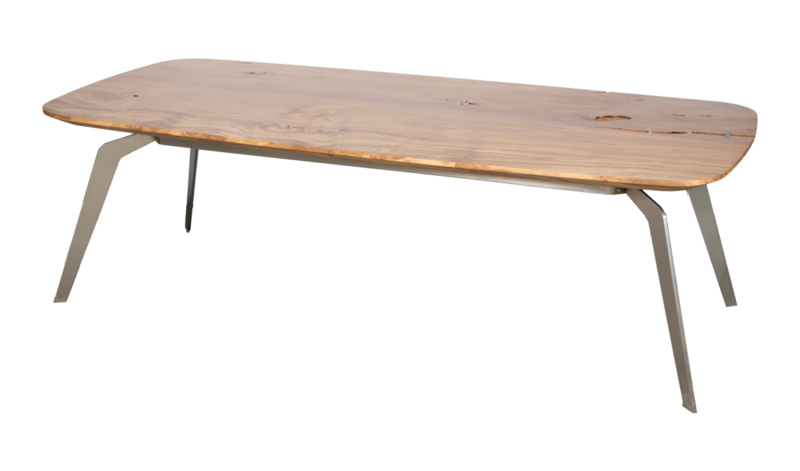 Kuni offers a rare opportunity to possess an exclusive furniture creation that is one of a kind. If woodwork brings to mind awkward, clumsy tables and yellow or orange varnish, we are proud to introduce a fresh perspective. For Kuni, woodwork is still based on the old ways – traditional, skilled and fine work paying attention to the grain, joinery and functionality. Kuni creations come with a contemporary twist – shapes or materials that keep the furniture edgy rather than old-fashioned. 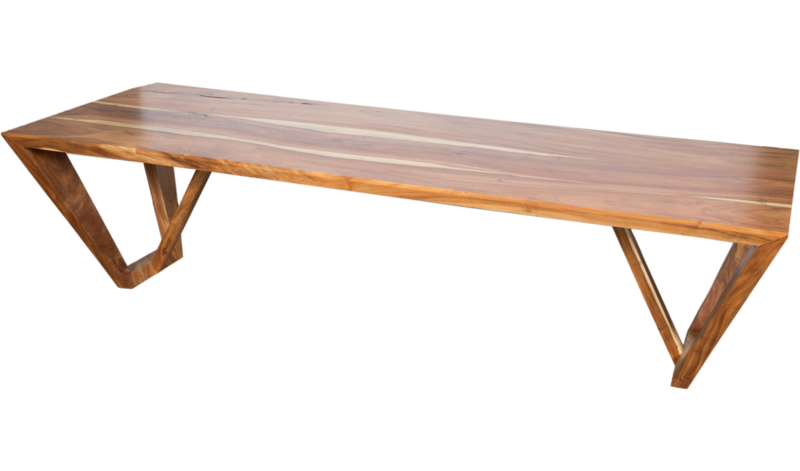 Benches and tables are designed in modern outline, with simple detail, but above all, a respect for the wooden slab and the particular grain. Their ethos is reassuringly old school, while pushing modern boundaries to create timelessness. The philosophy underpinning the Contemporary Collection is simplicity and practicality. It is an expression of the present time we live in, while considering the trend of modern art and design. The purpose of each piece is clearly expressed with the focus on structure, form, smooth textures and clean, crisp lines. Each design focuses on showcasing the natural beauty of the materials used while emphasising functionality and comfort. The Signature Collection is inspired by the art of balancing craftsmanship with natural beauty. The feel and beauty of each natural piece of wood is admired, the earthly scent of sanding and shaping is appreciated, and the pure joy of cutting and joining each distinctive slab is the ultimate pinnacle of each woodcrafter’s skill. Every piece is unique, simple and unpretentious. The Architectural Collection is inspired by the beauty of natural wood and the crisp edge of architectural lines. Nature’s fluid beauty meanders through the sophisticated manufactured contours of this collection. The gift of the natural tree is celebrated in every piece to remind us of our origins, while the refined silky edges speak to our appreciation for the luxurious. 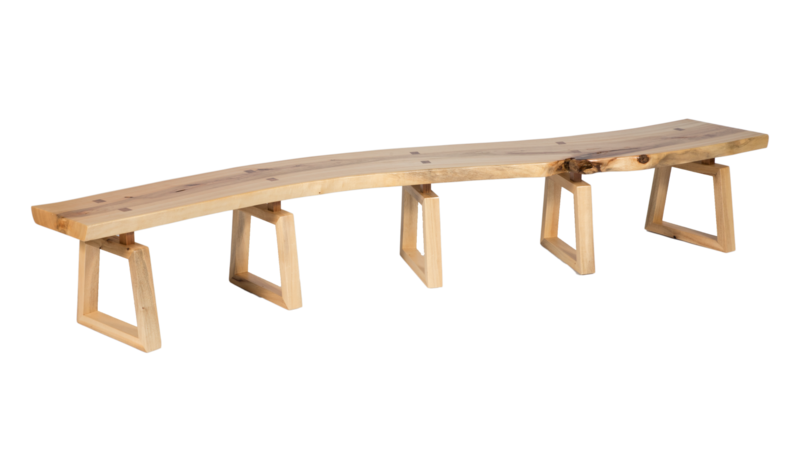 Gys Potgieter personally and carefully selects each piece of wood and before considering the design, the shape and the direction of the grain are examined and appreciated. The carving ultimately flows to pay tribute to the natural beauty of the wooden slab and revealing the organic form in its biological splendour. Woodcarving is considered one of the oldest crafts in the world and has been revered as a form of art since the prehistoric ages. The art of woodcarving has evolved over the years from purely decorative and functional purposes, to a form of language, a means of conveying a message with aesthetic appeal. Modern times has brought an appreciation of carvings as fine art, with the artist free to explore sculpting for the sake of beauty and visual appeal. The Kuni Art Collection is a collaboration between African artists and Kuni’s founder, Gys Potgieter, rooted in Africa, telling African stories, through the beauty of natural wood. This delightful new addition brings functionality and simplicity to Kuni’s range of collections. As with any range of products, accessories bring joy, enchantment and practicality. The Kuni accessories are no different, designed with purpose to not only enhance the beauty of a conventional piece but also to add sensible finishing touches such as convenient handles and scratch-free surfaces. The Kuni accessories are easy to maintain and deliberately conceived to add that extra-special touch to any occasion.